2 Beds 3 Baths 1 Partial Bath 1,507 Sq. ft. 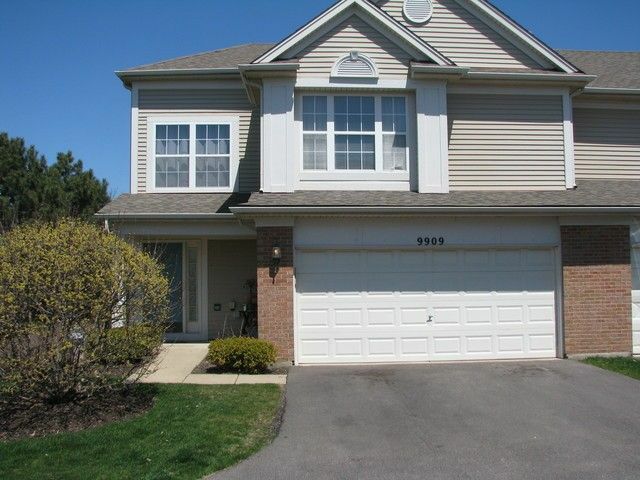 Fantastic End Unit two story Townhouse in desirable Southwind Subdivision in Award Winning School District 158. Two bedrooms plus a good size loft area. Two and a half bathrooms and a convieniant second floor laundry room. Private area along side this beautifull end unit great for kids or pet. Very close to schools, shopping, resturants, library, fitness center, pool, parks hospital and much more. Come and see all the great things that Huntley has to offer.